Innovation HQ, Inc. has owned the domain weeds.com for several years. At the end of 2017, the domain name led to a single page with links made up of generic terms related to horticulture and gardening. This page also announced that the domain name was for sale. Weeds, Inc. owns trademarks that include the word “Weeds”. This company runs a business that focuses on weed control. For reasons difficult to apprehend, it considered relevant to initiate UDRP proceedings (WIPO, D2017-1517, Weeds, Inc. v. Private Registration, Domains By Proxy, LLC / Innovation HQ, Inc., November 23, 2017) and judicial proceedings (Weeds, Inc. v. HQ Innovation, Inc., 2: 17-cv-01533-MPK, US District Court for the Western District of Pennsylvania) against Innovation HQ, Inc. Weeds, Inc. not only contends that the latter has registered and is using weeds.com in bad faith in the sense of the UDRP, but also asserts that Weeds, Inc. has violated the provisions of the Anticybersquatting Consumer Protection Act (ACPA). It is difficult to comprehend the reasons that motivated such a decision. Arguments likely to carry conviction are rare and weak. 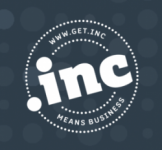 The domain name is composed of an undeniably generic word. In this regard, one of Weeds, Inc.’s trademarks includes the following disclaimer: “No claim is made to the exclusive right to use” weeds “and” Inc. “apart from the mark as shown“. 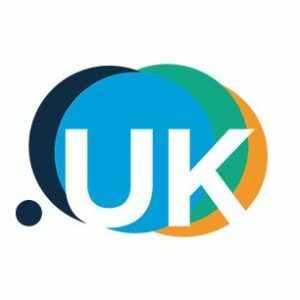 Regardless of the circumstances in which the domain name was registered and used, the chances of success of a UDRP procedure were almost inexistent. Additionally, by filing such a frivolous UDRP complaint, Weeds, Inc. was inevitably subject to opprobrium for battling in bad faith and with an abusive manner. Given the rudeness of the complaint, the panelists did not neglect to condemn the bad faith of the plaintiff (reverse domain name hijacking). Innovation HQ, Inc. has a strong case before the court. Among the counterclaims submitted, it demands the court to assess the UDRP complaint UDRP as abusive. In this regard, Innovation HQ, Inc. asks the court to grant statutory damages in the amount of $ 100,000 under the ACPA. Innovation HQ, Inc. also asks the court to cancel one of Weeds, Inc.’s trademarks (Innovation HQ, Inc. v. Weeds, Inc., 2: 17-cv-01533-MPK, US District Court for the Western District of Pennsylvania). These reasonable and legitimate requests deserve to be successful. 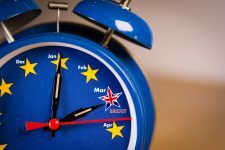 The argument also makes sense when it is the owner of a trademark who has been forced to finance a UDRP proceeding that resulted in a transfer or cancellation of a domain name. IP Twins collects evidence of cybersquatting and online counterfeiting. Our team of lawyers represents our clients in extrajudicial procedures (such as UDRP and likewise).